﻿ How to realize lamp power supply lightning and surge protection - Technical Support - Fatech Electronic CO., LTD. When night falls, the lights will light up our cities. Each city lights installed outdoors, in the face during a lightning storm, lightning is a very big threat street. When faced with strong lightning current may cause a fire or personal injury. Therefore, according to direct lightning, conduction thunder, lightning, switching over-voltage situations, FATECH provideS you with several guard lights damaged by lightning several effective ways: According to the street itself is a conductor material to consider, first of all using an external lightning protection and internal lightning protection method of combining. 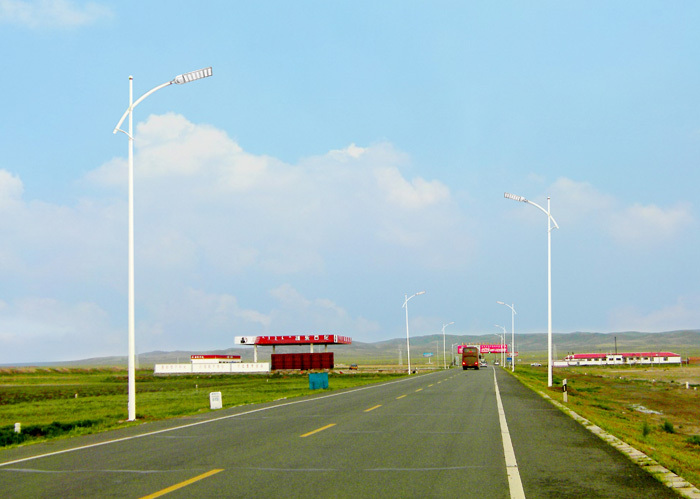 Because the street belongs to the conductor material, then it itself is the equivalent of a lightning rod, the design must be installed deflectors and ground network, these systems constitute the external lightning protection system. After doing when the external lightning protection system can be avoided due to direct lightning caused fire and street safety incidents. After doing external lightning protection, lightning protection systems through internal grounding, and other ways to set the surge protective device for protection. Internal lightning protection system ready to prevent lightning and other forms of over-voltage invade, causing power destroyed. This is also the external lightning protection system is unable to. Therefore, the construction of internal protection and external protection two can complement each other, complement each other. Since the construction of the internal lightning protection system, many devices such as housing, access to protected areas, cables, metal pipes, etc. must be connected to the external lightning protection system, or a set overvoltage protection equipotential bonding them. And eliminate destructive caused by lightning potential difference, signal lines, metal pipes, power lines and so use overvoltage protection, equipotential bonding various inner protection zone equipotential connection to connect to each other, each local interface must also be at the local equipotential connection, and finally also to the entire office connected with the main equipotential. Finally is essential that high-quality protective equipment to be installed, lightning protection modules and power mine. The circuit is generated by lightning after a huge pulse energy released by a short route to the earth, and thus to reduce the equipment side of the potential difference between the interfaces play the role of protective equipment.